Riverside Dash, Sanford FL. Run by the river to the tune of the sunrise. Early April is a beautiful time of year in Florida. Mornings are pleasant, humidity is still low and mother nature gifts us with the most gorgeous sunrises. The Riverside Dash, a local and fairly young race (in it's sixth year for 2018) positions you perfectly to take it all in on the run. All you early morning runners who start or finish your run when the sky is turning into an artistic masterpiece of perfectly blended shades or pink, red and orange understand the draw. It's even better when it's reflected over the water and on this fast, flat course, you get both. Are you going to be in central Florida on April 8th? 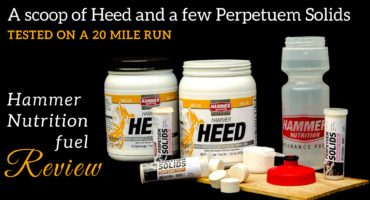 Want to win a free race entry? You can choose from the 5K or 15K distance. Bring your kids too. There's a kids dash at the end as well! If you have friends who may be interested, please feel free to share this so they can have a chance to enter as well. Giveaway closes on Friday, March 11th at midnight EST. (Terms and conditions at the foot of this post). 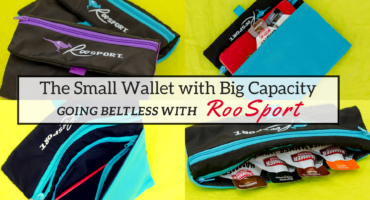 The prize for this giveaway consists of one complimentary race entry for the randomly selected winner's choice of either the 5K or 15K race distance. The free entry must be redeemed against registration for the Riverside Dash for the 2018 event. Giveaway is sponsored by The Riverside Dash race management. Winner will be selected at random after the giveaway closes. Terms of entry must be fulfilled in order to validate the entry. The only mandatory requirement to participate is to leave a comment on the blog post in the link. There is no obligation to like or follow or subscribe to any social media pages or accounts. Winner will be announced on Facebook and if not already provided, be invited to privately share an email address or preferred method of contact to Lee, Carefree Runner to allow details on how to redeem the prize to be passed on. If you have any questions about this giveaway, please ask before the draw closes. This price has no cash value and may not be exchanged or redeemed for any substitute. Should the winner wish to give the entry to someone else, please contact me and I can set this up for you. The value of the prize is based on registration fee for the 15K race at the time of opening this giveaway. Registration fees may increase nearer to the date of the event. I'm absolutely thrilled to enter my second year as an ambassador for this wonderful race. The Riverside Dash will always have a special place in my heart. When I was first approached about being an ambassador for this fantastic, well organized and fun event, I didn't have to give it a second thought! Do you remember your very first race? This was mine. There is something special about your that first one. 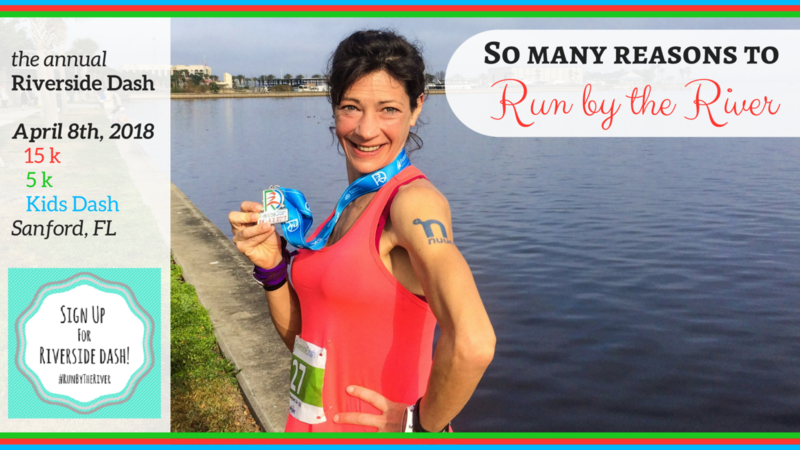 Between getting a medal for running, having other people to run with you and the supporters and party afterwards …. Everything just seems to hype up the high you get from a training run. 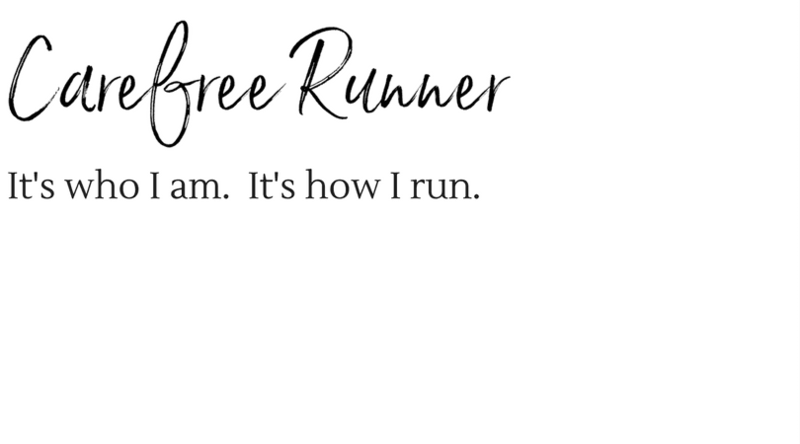 Initially I had no interest in signing up for a race. Actually, I still don't run them very often, but this is one I don't plan to miss for as long as it's around. Big crowds unnerve me and I wanted to avoid tens of thousands of people. I'd seen photos of these and they really freaked me out. I also wanted something close to home, since I wasn't even sure if I would enjoy the experience. If you'd like to read more, there's a short guest post I wrote on the Riverside Dash blog about my first experience. This is the only 15K event in Seminole County and I really love this distance. It's a perfect bridge between a 10K and a half marathon. Wherever you are in your running journey, you can either challenge yourself to speed over the easy course, or challenge yourself to push the distance. The 5K is very popular because it caters to both the speedsters and anyone who wants to enjoy a social run or walk with friends and family. Baby joggers are allowed on the 5K course (not the 15K) so no need to worry about baby-sitters if you love running with your little ones. For the slightly older, but still not too big kids, there is a Kids Dash that takes place later in the morning. 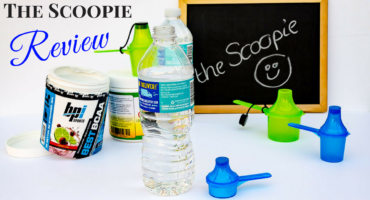 It's perfect if you're trying to keep your children active and interested in running. Registration is completed through Run SignUp, which is quick and easy. I like this registration platform and I'm so glad Riverside Dash has stuck with it. You also get a cooling-off window so if you made a mistake or change your mind about anything, you have a short window (I think it's about ten minutes) to reverse it without penalty. It just takes a bit of stress out of the whole process. I've never needed it, but I like the fact that the option is there. The organizers also provide an option for registration in person on race day, which is great for those who can come through at short notice. Try to avoid this if you can. This race is growing fast and signup is on the uptick this year. Early packet pick-up is offered over two consecutive days, giving a good range of times to accommodate any schedule and for those who could not make it before the race, there was an option to collect your bib and race packet on the morning of the event. This is discouraged to try reduce waiting around at the registration table on the morning of the event, but it is an option that is a life-saver for those driving some distance through to the event. It's also a lovely touch that race day pickup is free, something you just don't get with the big city races! I like to get everything before the race. Besides, it gives me time to set out my Flat Runner and make sure everything is ready for the morning. Having the bib with my gear makes it feel very official. It's all part of the pre-race high. If you want to slink along the riverside inconspicuously, you may prefer not to follow my choice of gaudy colors. For me, life it too short to be dull. Communication in advance of the race, was great every year; this year is no exception. The Riverside Dash Facebook page is regularly updated and lots of fun. Lots of tips for training and nutrition, motivational posts, details about the race and even the race shirt designs are put up and decided by our votes so it’s very interactive. I love that the organizers give us the opportunity to get involved well in advance of the event. Sneak previews of the medals and shirts are posted and there were also some special offers and discount codes, so if you’re thinking about this race or you're already registered, don’t forget to like and follow the Facebook page. Race day details are also emailed to participants with directions, maps and basic information as well as contact details for any queries. These are all sent out in good time ahead of the event to allow for any questions to be addressed. Directions are precise and easy to follow. Plenty of parking spaces are available and last year a friend of mine who arrived from out of town not long before the 15K start time said he had no problems parking reasonably close to the starting area. The start line is well marked, plenty of porta potties are available. Photographers mingle in the starting area, taking photos of participants before the races begin. There is never a shortage of volunteers at this race, which is always a nice touch in case you have any questions or need help or directions. This is definitely a very social race. 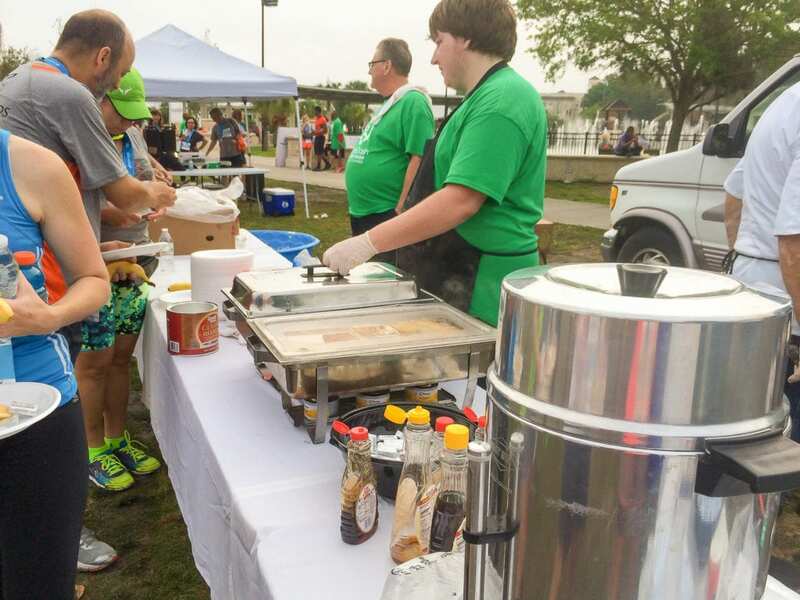 Last year I arrived my own, but spent most of my time enjoying conversations and meeting other runners (and some of the volunteers, vendors and organizers) so it was a great social morning for me and a lot of fun. 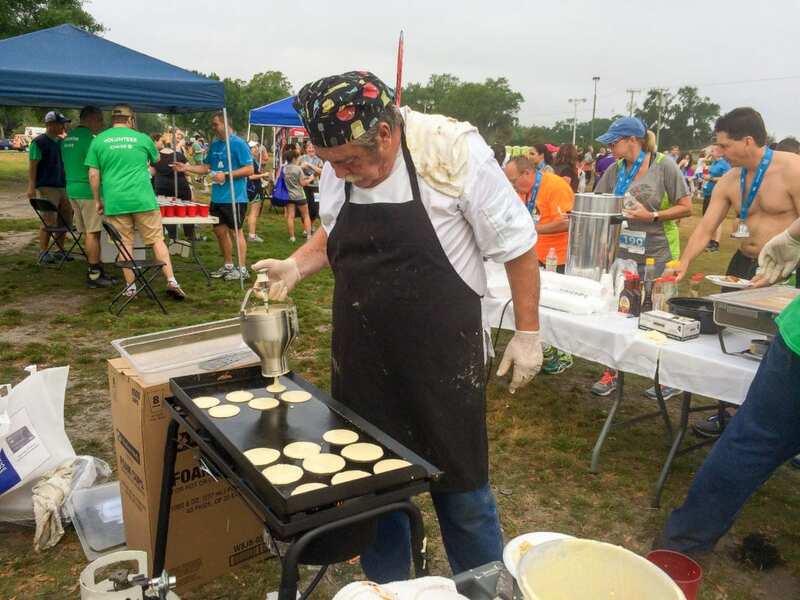 Admittedly, I talk a lot and will talk to anyone who's happy to chat, but a good atmosphere doesn't hurt, especially when helps get all the runners in a great mood. There are two races at this event. You can choose between the 5k and the 15k distances. The 15k starts at 7 am with the 5k runners crossing the start line at 7:10 am. 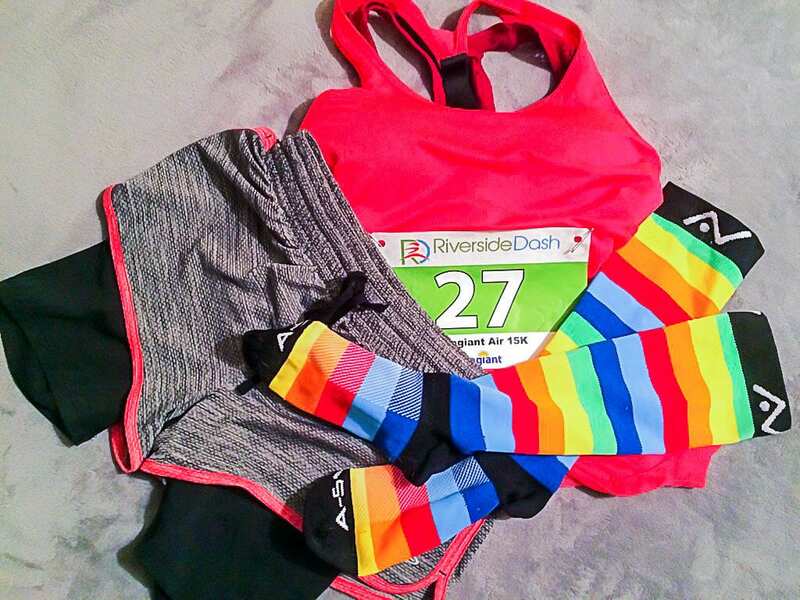 The Riverside Dash races always start right on time, so don't leave it to the last minute to find your spot before yours is about to begin. The course is as described: fast and flat. There is really no elevation on this course at all. Both races run along and out and back course, which eliminates any issues with getting back to your car when you want to leave. 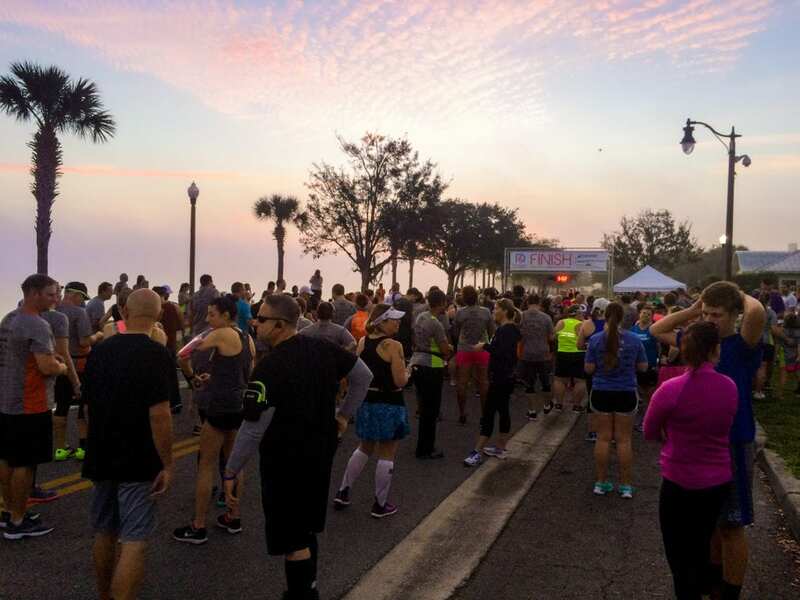 With the 15K runners setting out just around sunrise, running alongside the St Johns River, something you don’t ordinarily get to do here, is absolutely beautiful. I ran the 15K in 2016 and the 5K in 2017, so I got a taste of both races. The course is almost entirely on asphalt, except for a portion of at the beginning (and end) where you run on some brick paving. It’s a fairly small section, but for those of you who don’t like running on bricks, I notice that some runners just keep along the side where there is asphalt parking to save their shins. I didn’t feel the need to do so because, as I said, it’s a very small section and I am always distracted by the quaint little shops in the old town area. It’s really a charming course from start to finish for both distances. Both courses are well marked with volunteers at every possible turn and the two courses are clearly marked where there are any split ups or merges. Runners doing the 15k race are alongside the St. Johns River for most of the course. TIP: Bring some sunglasses with you for the 15K. As the sun rises above the horizon you'll get some glare off the water until it shifts a little higher. For its size, this event has a great turnout of vendors, freely giving out plenty of samples, as well as some useful information and contact cards for services that are relevant to those who like to keep active. The PR Bell featured again, which is really cool for those Moments of Pride photos after the race. There’s something about getting to ring that bell at the end of a race that always makes me smile and it’s a nice touch. I hope that bell remains a feature of the race forever! There are some things that just stand out in a race. Here are a few of the Riverside Dash special touches that just topped it off for me. Last year I was was injured in January and was unable to run for 8 weeks so training for this was pretty much a wash. Although I originally registered for the 15K, I had no problem getting switched to the 5k at packet pick-up. I really never fully appreciated an accommodating policy like this until I needed it. I lost a couple of other races last year which were not quite so accommodating. Different shirts for the men and women: I thought this was a really nice touch and noticed many comments saying the same. It’s not something I’ve seen before. The race shirts are good quality, lightweight, soft and well made. They are also true to size, which is always appreciated. In 2017 race photos were included! Will they be included in your race entry fee again this year? I've verified with Riverside Dash and the answer is YES! This is so valuable. Race photos are not cheap and as a result I have very few. To get all your race photos included in the registration fee is a noteworthy bonus! I am thrilled to see this back again for 2018. Lots of vendors! 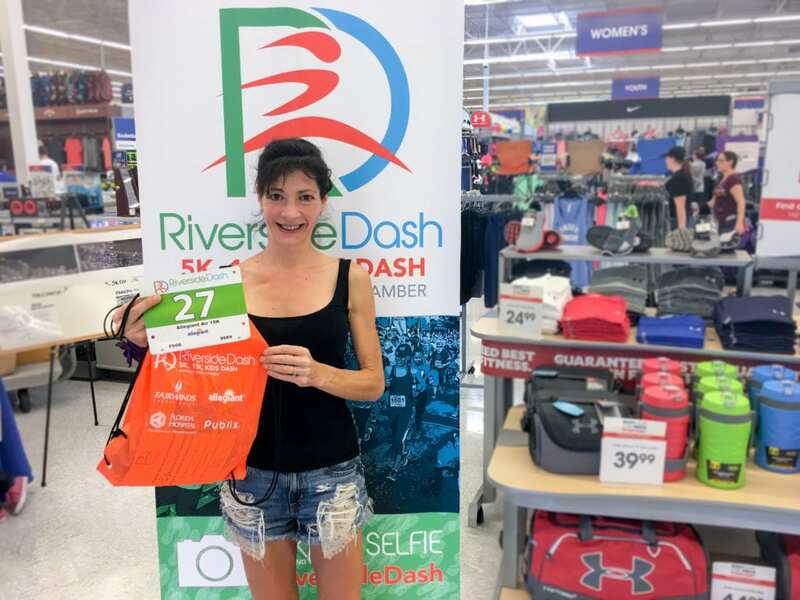 For a race this size, I am always surprised at how many vendors and sponsors The Riverside Dash organizers manage to get out there. I discovered quite a few new local services in the area and got to try some new products for the first time. There is never a shortage of refreshments for after the race. I had a good breakfast before going home! The Riverside Dash remains unrivaled as my favorite race. I love the energy and the atmosphere, the course is beautiful, the sign up fees are very reasonable and overall it is hard to find any flaws in this event. Once again I can say with confidence that I will be back again. And again! Thank you, Riverside Dash. Once again you have done yourself proud! See you on April 8th for another Run By The River! Winner will be announced announced in the comments section of this blog post. Please remember to turn on notifications for new comments and replies or remember to come back and check to see if your name has been draw. You can deselect this option after the giveaway closes. If not already provided, the winner will be invited to privately share an email address or preferred method of contact so I can give you details on how to redeem the prize to be passed on. So do I! I hope you’re going to be there this year. Definitely! I love the views this race has.